The problem with rips in upholstery is that they keep on ripping, they get worse. 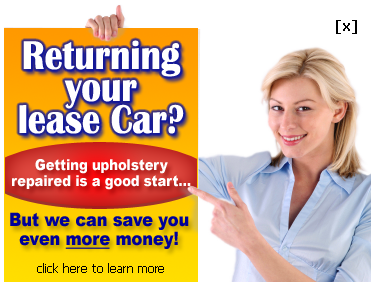 It's important to have damage to seats repaired as soon as possible, because this kind of repair is seldom completely invisible, so the smaller the area of damage, the smaller the area of repair. 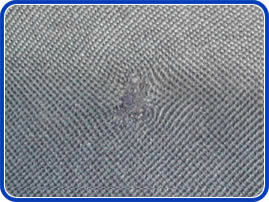 On areas other than seats, such as door panels and headlining, invisible mending is possible by using special techniques to fill the damaged area with replacement fibres. This is only recommended for areas which do not receive much wear. 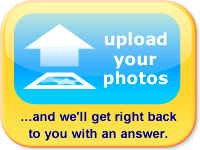 We can also repair holes, gouges and discolouration of interior plastic trim, repair and recolour carpets; clean, repair and condition leather; and repair vinyl. 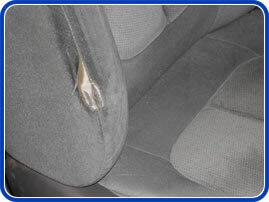 This fairly common kind of tear on a car seat is in a position which is obvious and visible and makes an otherwise clean car look tatty. - Using modern connolising to repair a scratch on a Mini. 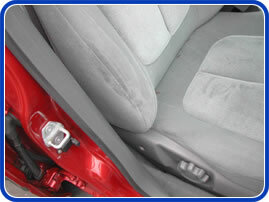 The treatment of leather seats, worn bolsters, cigartette and cigar burns, rips, tears scuffs and stains.